The Chronicle of the Horse July 27, 2015 article titled Boarding barns: The Good, The Bad and The Dramatic and Practical Horseman’s August 2014 This month’s question: What Makes a boarding barn a good place to keep your horse? are two examples of the types of articles on boarding horses that seem to recycle themselves fairly regularly. Undisputedly horses should be well cared for. But these articles, while informative and full of anecdotal stories, miss reality. The truth in boarding barns is that most barns do not charge enough for the services boarders want. The Chronicle article opens with “There is no such thing as a perfect boarding barn.” And my first reaction is oh yeah, that’s true, but do you know what? There is no such thing as a perfect boarder either. They don’t have to dispose of the about 50 pounds of manure and urine produced by each horse each day. Boarders rightfully want, according to The Chronicle of the Horse author, Haley Burton “. . .quality horse care by trusted, knowledgeable barn staff.” However this a very general statement. In the Aug. ’14 Practical Horseman – This month’s question contributors defined quality horse care in a bit more depth: at least 8 hours a day of decent turn out, at least 4 hours a day turn out, unlimited turn out. That adds #11 to the things boarding barns do to make horse owners lives easy – turning out and bringing their horse in. Add blanketing, watching for illness and injury, clean stall and a tidy facility, and the number of ways a boarding barn makes a horse owners life easier increases. This is as it should be. Taking care of horses is a 24 hour a day 7 days a week job and very few horse owners are capable of taking this job on. Boarding barns make it possible for other people to become horse owners. Potential boarders are not concerned with how much it costs you to care for their horse. They’re concerned with what it costs them. But quality care costs a lot of money. During my research across the various parts of the U.S. via the internet I found people who paid from as little as $350 to as much as $3500 to board their horse at a full care boarding barn, in a stall each month. Since $3500 is way out of most people’s league for horse board, I’ve chosen $500 month as a comfortable average monthly boarding price. Let’s break down the cost to the boarding barn for 1 horse, bearing in mind that my figures are general due to a wide variance across the U.S. We’ll use an average horse. Grain – we’ve already established grain is about $100 per month. Hay- we’ll give our average horse 20 pounds a day or 500 pounds a month. A 100 pound bale might cost $15 or $75 a month per horse. Bedding- about $70 a month. So far our hard cost for the basic needs of 1 horse is $245 per month. Stall-Let’s say we lease or have a mortgage on a facility that has an indoor arena, an out door, a couple of acres of pasture and a 12 stall barn for $1200 a month, the cost for 1 stall each month is $100. So now our horse is fed, bedded, housed and is paying his share of utilities and we’re up to $379. Labor? At the bare minimum if someone cleans the horse’s stall, feeds and hays it, turns it out, brings it back in, checks it over for for injury. . . Your talking 40 minutes of someone’s time- more if you add rinsing mud off hooves, cooling him off in hot weather, or blanketing and unblanketing. But sticking with 40 minutes a day equals about 20 hours of labor a month. Paying a wage of $10 an hours adds another $200 a month. Arena Prep- You want to ride in a low dust environment with good footing, add another $12.50 for your share of watering and dragging arenas. I’m not adding the cost of operating and maintaining the tractors and mowers, insurance, maintenance and repairs (one of the ladies in the Practical Horseman article commented about the barn owner repairing fences that her horse was running through on a weekly basis!) and many other expenditures of money and time that are the result of boarding horses – because our accumulated expenses of $604 have already surpassed our $500 boarding income. At the beginning of this post I mentioned a statement from The Chronicle of the Horse July 27, 2015 article Boarding barns: The Good, The Bad and The Dramatic “… most riders have the same goal in mind when boarding their horses at full-care facilities: quality horse care by trusted, knowledgeable barn staff.” I told you it was a very general statement but in fact it’s really a minimalist view, as it doesn’t begin to describe what boarders actually want. Boarders want to have the luxury of someone else doing the dirty work related to their horse. They want someone else to have the responsibility of seeing to their horse when they don’t come to the barn, be it for work, other commitments or vacation. They want their horse taken care of according to their standards by someone who will see to their horse’s needs when he is ill, stressed or dirty. When they go to the barn they want a knowledgeable person to address their concerns about their horse and his social life, plus if a problem comes up that they can not solve or handle, they want the knowledgeable barn manager to deal with it for them. In addition they want to use facilities that they can not afford to own, socializing with other people like themselves who view horses and riding the way they do, and they want management to monitor barn drama so their experience can be enjoyable. This is a lot to want – however I think most professionals would like to meet these goals for their boarders or they would not continue in business. Everybody knows it’s expensive to keep horses, consequently boarding barns might hope that having an economical board rate will result in clients participating in more lessons or clinics. Hoping that clients, who are already struggling to pay board, will pay for more lessons is usually met with disappointment. Barns may develop a package that includes board and a certain number of lessons to ease the blow, but this is usually done to cover up the high cost of horse care by throwing services in to make it more palatable. Every time you add a service, be it a lesson, training, holding a horse for the vet, an extra feeding, or more times cleaning a stall, someone’s time is required. If you have employees, their salaries must be reflected in board prices. If you’re a small barn and you do most of the work yourself, you should be equally compensated for your effort. Your time is valuable. I’ve never met a boarder who isn’t looking for a deal. A contributor to the 8/14 Practical Horseman –This month’s question made the revealing and common statement, “Finally, the charges must be within reach of my modest amateur’s budget.” Even well-heeled clients ask for a board cut, suggesting their horse could be used for lessons. Sometimes this is a good deal for an instructor but most of the time it’s just proof that boarders really have no idea how much it actually costs to take care of a horse. The Chronicle of the Horse article points out that “Boarders are spending their hard earned money on this and they most likely earned that income in a professional environment. . .” I have difficulty believing that a boarders’s money is harder earned than that of the people in the boarding barn business. And guess what- even though it’s the boarder’s playground, the barn is our professional environment. In barns where boarding is priced so that the boarder actually pays for the benefits they receive, plus what it takes for the barn to make a profit, boarders are usually treated like clients. But it’s in the barns that barely scrape by because the prices they charge can’t sustain the barn, that boarders find they are easily dismissed as unimportant and annoying. And in barns that give deals and breaks – boarders are easily replaced because everyone is looking for a good deal. The horse business is no different than the rest of the world. There are people who have unrealistic expectations which usually results in unmet expectations. Unmet expectations result in disappointment, dissent, gossip, and bad relationships. Both the boarder and the barn owner can fall into this trap. Perhaps the issue is not so much that barns lack good service and atmosphere, as it is that there are many people who have horses but can’t actually afford, or are not willing to afford, the service they believe they deserve. Euphoria comes at a price. The bottom line is that the boarding barn is in business to make money, not to subsidize someone else’s horse activities. Boarding prices should be high enough to cover all of the expenses plus give the stable a profit. If not, the barn would be wiser to exert their effort and spend their money in another area of the horse industry. Why not sign up for The RI News? It’s Free and I’ll send you The Riding Instructor’s Lesson Planner as a thank you. There’s a neat sign up form at the top right of this page. I’ve both owned my own boarding facility as well as boarded my horses. Yes, it should be profitable for the barn owners; however it is up to them to do the math and decide if it will be worth the lifestyle they will have to lead and if it will be profitable. Keep in mind that a lot of barn owners are subsidizing the cost of their facility so that they can hope to enjoy it with their own horses, if they have the time or energy at the end of the day. Who isn’t looking for a good deal? Boarders usually are hard working themselves, and want to be able to go out and enjoy their horse. It’s part of what they pay for, and in an already expensive sport, the cost of keeping the horses month to month becomes astronomical. Especially if you compete at all. It is not unreasonable to expect a certain level of care. I think the real issue here is defining “reasonable level.” And to each their own. For sure, there are a lot of clueless boarders; but there are also a lot of barn owners who have no idea how to run a business. Or worse, not know how to care for a very loved animal and, because of their ignorance, seriously jeopardize the horse’s health. I’ve see this happen at even the most expensive boarding barns. Price doesn’t always reflect care or knowledge. This is probably one of the reasons owning horses has become challenging to afford for the average owner. We appreciate your quick response. Yes we indeed found a good farm through an agricultural weekly paper. We had to haul all of our household items , tools and furnishings with a round trip of 250 miles each trip.On the last trip a very good friend hauled our horses with his 3 horse angle load Morgan built trailer thereby saving us the worry of which horse or horses we would have to leave behind while hauling only those we could manage with our 2 horse trailer. We feel for that woman not having a place for her horse on a Friday night! If she had been near us we would most likely allowed her a place for her horse on our private 20 acre farm.We have been there, as at our last rented barn/ pasture a very evil man was allowed to store items in the same barn we were using for the last 10 years.Later we found that he had knifed a filly we were teaching to ride.The property owner was a medical doctor! Of course our family realized then that it was an emergency situation that we had to relocate quickly, but of course it took awhile to sell our house at the time and to find suitable farm ground that we could build our present farm of 20+ years at.It was so difficult to find a usable property without concrete everywhere and good pasture grasses that had no fescue as a base setup for cattle exclusively. Were fortunate enough never to have had to boarded our horses. We have always rented pasture with some kind of shed or barn for shelter for our horses. As for boarder complaints, most can be resolved by opening up the records and showing the true costs of operations to your renters or boarders as our very first employer did when we wanted to know why he could not pay us at a straight wage rather than commission. (We were a mechanic at the time). We were shocked when we found out that despite our working our buns off, we had cost Jim $325 more than what we had earned in mechanical work done at a straight hourly wage! He was decent and honest enough to allow us to figure out that it would have been cheaper for him to just close the shop and go on his two week vacation with his wife and children. If we were ever to board out any of our horses we would want to know the true costs and pay a fair % profit margin to barn owner. As a thoroughbred breeding farm owner the # 1 cost is the property insurance! Followed by property taxes, feed costs, and the ever too high labor costs,We are one of the few owners who clean a 12 stall barn ourselves and don`t mind it a bit! We have cleaned up after people as a janitor many years ago and will gladly clean and bed straw bedded stalls any day over office workers spaces and restrooms. If there are no available options “to move on”, a good boarder dare not complain, for you will most certainly be “kicked out”. Supply and demand dictates how/if one approaches the barn owner with a suggestion. I have seen a young lady walking down the road with her horse on a Friday evening with nowhere to go, as the barn owner had just told her to leave. Private 2 acre property. I have normally worked for my board and loved doing that. I have mine at home now and have in the past and I always knew I wouldn’t have the amenities I can’t afford – a NICE barn, good arenas, tons of expensive jumps … and friends to ride with. I found sometimes I want someone around to do work with or go riding with. BUT my horses get great turnout, I find good local feed mills so grain is fresh and the best (at a great price) but I buy the best hay which I think is most important (I was getting from WY but found a grower here in TN who does organic orchard grass/alfalfa of any ratio from pure grass to pure alfalfa. Trade off is I feel my horses are well taken care of … but I don’t have the amenities. Oh that we could all have everything! But it sounds like you’ve chosen the parts that satisfy you best. Good job. And the hay sounds wonderful! Jamie for me my laborer who does morning stalls i pay hime 160 a month but he can live on my property in a trailer i pay for his water and electricity , my extra laborers that come on saturday i pay 220 a saturday so they can clean pastures , trim trees and other landscaping work and clean up me and my kids do stalls in evening to save money and i do all the feeding … so 160 a month plus 220 x4= 880 plus 160 my labor costs 1040 a month yet i try and keep my board prices fair.. This article helps put things in perspective it is hard business to keep boarding horses and i have now for at least 26 yrs i have had many lows and some highs , my cost is way more then this article here in Calif my hay , and water alone is very high .. My labor as well people always want to bargain with me when im barely making it , and some people are so demanding and think that here 500 or 600 a month entitles them to so much more although i already do so many extras. I haven’t had a vacation in 7 yrs and not one day off ( hard to find good help ) my labor on weekends is 220 just to keep all the landscaping up and all the clean up , diesel is up and i have to tractor everyday .. Oh i can go on but thank you for this article really brings to light what im going through right now glad someone understands.. Phenomenal article. I first read it 4 years ago when I myself was a boarder. I now own my own boarding facility and to reread everything from an owners perspective makes me realize how clueless I was as a boarder. I love your comment. It can be so hard to have a boarding facility and good boarders are priceless. I appreciate the point of this article, but you lost me at the labor, pasture, and arena maintenance sections. I would love to know where you get someone cleaning your horse, pulling weeds in the pastures, and watering/dragging indoor arenas for $500 per month. If you’re going to use an average cost, you need to use average amenities. A facility in the area where I live that had those type of premium amenities would be charging premium prices (at least $1000 per month). Yes I agree it’s worth a lot more but with the parts of the country vast and different some of the more rural areas see $500 for board as pricey. Makes averages a little difficult, so thanks for your good point. Thanks for your comment. Wow can’t believe how much controversy over boarding! I have boarded my horses over the years at several different facilities, some very good and some pretty bad. For that reason I finally decided to live on acreage so I can keep them myself. So for the past 15 years I have taken care of my guys myself. It is a lot cheaper doing it at home but there are some trade-offs. First of all it is a 24 hour 7 day a week job. And sometimes I do get too tired to ride, Not easy finding qualified horse sitters for vacations and it can feel kind of isolated at times from other horse owners. However, I just love looking at my window and seeing my horses happy and well taken care of. There is a different relationship with your horse when you are their main caretaker. So for me the pros definitely outweigh the cons. For those who think you should run a boarding stable because you love horses, remember that it is a BUSINESS. Maybe they do love the animals but they have to be profitable too. I love to see my horses outside my window, too and I’m glad I don’t always have to make a special point to go work with them but you’re right. It’s easy to get caught up in the care and maintenance and miss out on the riding time, plus it would be so nice to have someone else drag the arena before I ride. And right now when temps are looking at minus something, I’d love to have someone else pull on their Carharts instead of me! We’ve been through 2 barns in 1 1/2 years due to poor care. We are not high maintenance and do not care about fancy amenities. We just want our horse happy and healthy. Our horse went without water and food. She was badly dehydrated and under weight. We now go everyday and we clean her stall, check her water etc because we can’t trust them to do it. We buy her food & measure it in bags so we know shes eating & getting her supplements. We move her this week & hope we can count on her basic needs being met so we can take a short vacation!!! We pay $450 a month & we do most of the work. Unfortunately I know what kind of care you are talking about. Greedy owners that don’t do what you are paying for. I also ended up taking care of my horse everyday. I moved him to a new place within 6 months. Fortunately though I found a great place in a great location to where I work and live, with a barn owner that actually likes horses, and has proved to me that she does what she says she will do and cares well for my horse. I pay the same amount I did before and for actual services being done! Which is a relief, and my horse loves it there. 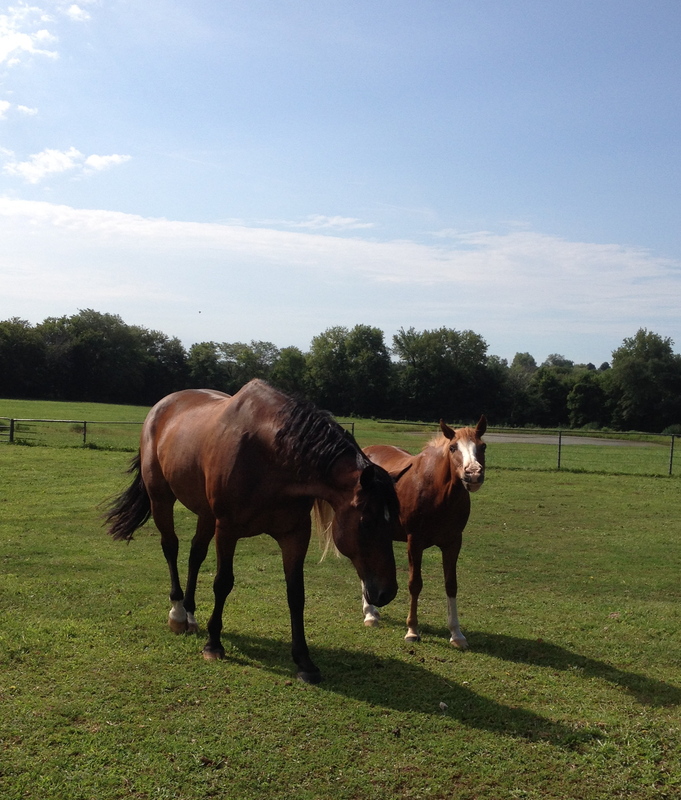 He has made friends with the other geldings and plays…. Verses getting bullied by the owners monster halter horse that had a thousand lbs on him at the old place. Every location has different barns offering different things, but it is difficult to find a good overall quality barn with good management and knowledge. There are the good and bad barns out there no matter how much they charge. I wish you luck in finding a suitable good place for you and your horse. If you are near Lexington KY I have a recommendation ? A lot of good points in this article, but in the list of 10 things boarders don’t need to pay for, a few of those do not apply to owners who keep only their personal horses at home. That side, one the biggest gripes I have as a boarder is when other boarders complain about the facilities when we are paying rock-bottom prices for the area. What I pay really only covers the cost of hay and utilities, so I don’t expect the owner to spend hundreds or thousands of dollars to mitigate the mud in the winter and spring as long as there’s at least some dry space in the field where my horse can get out of the mud. I boarded at a place where we were expected to work (a lot) and paid enough ($400/month) that her boarders covered the cost of her care for HER horses and property taxes! Unfortunately, it was the only place in town with decent turn out which is of utmost importance to my horse. If I had a different horse, I would have been somewhere else. As it is now, I have my own barn and while i have three horses now and it probably costs me a lot more time, it’s actually less work than what I was expected to do at that other barn! Most importantly, my horse gets turn out on proper grass every minute it’s physically possible and he loves it! Jeanette, you make it seem like it was BAD for your board to help her pay for her horses and her property taxes. First, people go into boarding because they love horses (meaning they probably have their own) and are trying to make a living at it. That not only includes just her being able to buy her own food, but also includes paying for their horses. Most people don’t shovel sh!@! for the love of it. Second, if she can’t pay her property taxes, then you can’t board your horses there. There won’t be a place there. If you can’t make a profit boarding, then you can’t do it. I had an amazing place for nearly 20 years, and I stopped being able to make a profit and give the care I believed needed to be given. So I closed. Many of my boarders – especially the ones who complained about paying more – were infuriated and blamed me for disrupting their lives because my place was the best place to be. Towards the end I gave all my profit to my employees to keep them well paid. But it was too late. I will do training board now at my new place, but I will never do straight boarding ever again. I really enjoyed this article. Even though I’ve never owned a boarding stable, I’ve boarded at a few and I can’t even imagine trying to keep up with the costs. Insurance (liability) and mortgage alone are major costs. Secondly, I couldn’t imagine having to be a barn owner and deal with childish barn drama from adults, of which I’m happy to say my barn doesn’t have. I’ve also had my horse at home and now board at what I consider a premiere facility in a western state and I pay less than $600/mo. for a box stall with run, turnout and blanketing included, and lots of amenities. My barn owner is great as are all the employees. There is almost always a waiting list to get into this barn. And I never paid anything close to $500/month, even including the feed and hay that I/we bought! It sounds like you have found some really good answers to your own horse boarding and economically too! I love to hear a good report. Thanks for your comment. This is so very very true as we have a boarding barn. We do not charge enough for what boarders expect. All we can do is do our best with what we have to work with. I’m going to print this article and actually give this out with our application. I’d like to know where you can hire help for $10/ HR. That was 20 years ago! I would happily work at a stable for $10 an hour. I say this because I love horses and enjoy being in that setting. I’ve volunteered at stables before and it beats the heck out of any job I’ve had. What about the person who does understand what’s involved, who does pitch in, who does respect property and people, who pays early, who appreciates every little thing the BO does, whose horse is well mannered and a joy to handle, and who cannot find safe and healthy boarding for her horse at ANY price? Oh, there are plenty of boarding barns here, but at even the most expensive the care is subpar and the owner is selfish, greedy, and holds her boarders hostage to bad care because there is nowhere else to go. My opinion: if you don’t have enough land for daily turnout and you don’t care if the horses you board get sick or injured because “these things happen” then don’t board other people’s horses! !!! I do not want to buy land keep my horse at home at this stage of my life, and am willing to pay whatever it costs for quality care. It just doesn’t exist here. Can’t wait to move out of this area and away from the land of Stupid Horse People! !! Noticed the hostess of the site didn’t reply to your comment, as it wasn’t in keeping with her article, but I will agree with you. I am such a boarder, pay top price for board, and my horse is fed with foxtail-infested hay, the arenas are NEVER dragged, the dust is horrendous, I end up cleaning my own stall 2-3/week and scrubbing out my horse’s water bucket. Thanks for commenting on the Riding Instructor. It’s very difficult when a horse owner can not find a place that satisfies their needs for their horse. I learned a long time ago that if you can not find a suitable place to have your horse taken care of, then there are three options available to you. (You are welcomed to correct me if I missed one.) You can take care of your horse yourself, which is what I ended up doing. You can put up with what’s available for you. Or you can sell your horse. Did I miss anything? I wish that there was a magic wand to wave that would correct all barn owners and all boarders. I’m pretty sure that we, as consumers, can not make anyone run their business the way we want them to. We can however take our business elsewhere. In regard to your opening statement.I have to tell you that I consider that a bit unfair. You have no idea why I didn’t answer arianna and to cast a bias toward me is unnecessary. In the nine years that I have offered the Riding Instructor as a free service to other instructors, I have never intentionally ignored a comment that required an answer. I did ban one person from commenting because she was rude to some of the other people who are here.There are however times that people make comments because they need to vent and if they aren’t rude or crude I let them vent. I felt this was arianna’s situation.She didn’t need an argument from me. I don’t know where she lives, when she is moving or where she is moving to. I just let her have her say. If it had bothered me that her comment was not in keeping with my article, I could have merely refused to post it. Look around on this site, there are a lot of commenters that don’t agree with me. I encourage followers to add their viewpoint, I just prefer they do so in a polite and considerate manner. OMG, I could have written every last word of your post myself!!!!! And the worst is when people drop off their kids for the day and leave. I now care for my own horses in my back yard stable. I love boarding barns…especially the ones who really love people and animals. We all know those with bad personalities…..and no professionalism, they dont keep experienced owners long . beginners learn eventually how much goes into this hobby. This is so true, I’m smiling. Thanks for your comment. Generally well written, the issue I take exception with is that competent folks to oversee your cherished horse and tend exeriencedly to said horse will be working for $10/hr. It was stated 2x as such. You aren’t going to get anyone with experience or longevity at that rate. In CA (where I maintain a private facility) the workers compensation alone is a huge factor not added in here to that base salary (or is the barn owner doing everything in your mock business?). Pasture that provides actual grazing is nearly impossible to create in California, so we pay $22-27/bale for good hay. We do provide turnout but it takes 15-20 min/horse to provide this service x 30 days is 10 hours of staff time to do turnout (boots on/off, walked in/out, hooves checked, pastures/waterers surveyed) at $15/hr we don’t “make” anything on this service that we charge $150 for… One good worker got hurt, needed time off (has compensation partially in terms of housing and other non-cash benefits) so the replacement help was much more $ out the door. We are definitely one of the most expensive barns in the area and not making a profit. I maintain a quality place because I want a quality place to ride and teach at – the lessons are income, boarding is not. Interesting this article seems to have forgotten that the majority of these expenses are tax write-offs for barn owners. Yes, yes they are expenses and as a business are deductible. There are pros and cons to both sides of this issue – but let us not forget that operating/running/owning.maintaining a boarding barn is a choice for people as a profession. It most certainly is a choice. If you do not like it , change it or do something else. Some of us boarders are more knowledgeable than this article does more than suggest. Hello, I did not even remotely imply that a barn should run at a deficit – and it is not ‘some’ tax write-offs there are many if not all. I am not sure where you read that anyone’s money was harder earned than anyone else’s ? I wish you had in included the entire sentence so I could put it in context, because I do not see that. With respect to “10 Areas in which boarding barns make horse owner’s lives easier:”, as a horse owner and boarder I truly hope so because that is what I am paying for and what I expect. I completely agree with you when you wrote as a boarder I too can change (or do something else). I am hoping that reading articles such as the ones in Practical Horseman (which I will go find and read in it’s entirety) open boarders and boarding barn owners minds to what both see and expect from each other – whether perceived, unrealistic, true or just. I am fortunate to have a comfort level at the facility I am at to discuss any changes in expectations or level of care et.al. (and I have been wrong nearly as often as i have been right 🙁 ) I strongly encourage others to do so, talk to the barn owner and staff and be truthful ! You should receive it back ! And if not, or you believe you can not, perhaps time to consider looking at choices. I find it interesting that you would miss the main point of my blog post, The Truth in Boarding Barns, which is stated clearly in the opening paragraph… “that most barns do not charge enough for the services boarders want.” You can look both The COTH and Practical Horseman article up for their full details and full sentences. All businesses receive tax write offs and during the ’80s the government upheaved the tax laws pertaining to the horse business forcing many businesses to change. As usual the small businesses such as the boarding businesses suffered as the result. You may not have intended to ‘imply’, but you did. You are indeed fortunate that you have the comfort level at the facility you are at to discuss any changes etc. It indicates a level of proficiency and business savvy in the barn owners, such that we would like to see universally. I did see that was in the first paragraph, but it is the term ‘most’ I struggle with as it set the tone for the rest of the blog. Some, yes, most ? Not where I am which is minutes from Spruce Meadows. If that is the case then I agree that education is the key ! No I did not imply any business should run as a deficit, it is unfortunate you interpreted it that way. What I wrote was that net profit is not as direct as it may seem. Every once in a while we get someone who has unrealistic expectations, and honestly if they can not be resolved the person is asked to leave. It was not always this way, however the owner learned that this was the best approach to keep the integrity as well as the people & horses they wanted there. Of course we have our share of barn stuff such as gossip, et.al. but it is quickly (hopefully) nipped in the bud. I would also say that more than a few of the facility owners I know have little customer service & business management skills – which also feeds into what goes ‘wrong’ . Believe me, I am no financial wizard either but even I can figure out if it seems too cheap something is missing. On the other hand, the respect goes both ways & the boarders & the trainer go ‘above & beyond’ also. I will look those articles up, thank you. It is very nice for you that you live minutes away from Spruce Meadows.It sounds like you are an ideal owner with knowledge, communication skills, business and financial savvy, and a broad range of experiences plus the ability to express your opinion. I hope you continue to enjoy your boarding facilities. Thank you for your comments on my article. I welcome fruitful discussion on my blog but opinion pieces do tend to stir up some people. Agreed ! And hopefully the ‘stirring up’ will results in improvements to the industry ! You wrote ” It sounds like you are an ideal owner with knowledge, communication skills, business and financial savvy, and a broad range of experiences plus the ability to express your opinion. I hope you continue to enjoy your boarding facilities. ” I am NOT the owner I am a boarder, forgive me if I was not clear in that. I stay based on this though, as I of course could take my hard earned money elsewhere 🙂 ! Only write offs IF you are LLC OR INCORPORATED where as this also costs the owner money. Yes Lesa, it wold cost the owner money to set up the business, of course it would. Those costs too are deductible. If you are NOT a registered business, whether it be Limited, LLC , Inc, or whatever, you should NOT be boarding other people’s horses. Full stop. It is fine for you to say that you would not board at a facility that was not a registered business. And it is fine for you to say that in your opinion if the business is not registered or whatever, someone should not be boarding other people’s horses. But that is only your opinion and your choice. You are not the end all authority on who should or should not board horses. There are many situations and relationships of which you are completely unaware, uninformed, and unqualified to pass judgement on. So far I’ve given you free rein with what you’ve posted but now I am requesting that you tone down the way you address issues and people on this blog. I work 3 mornings a week in a “nicer” facility with 15 horses. 12 inside and 3 outside. I spend 40 minutes to an hour on a single horse, as morning chores are vastly more labor- intensive than evening feed. Yep, it’s physically demanding and very time-consuming and dangerous at times. Many days I’m too tired to ride my own horse when I’m done. Some days it doesn’t seem worth it. Firstly- I have a degree in equine science and management, and we spent 2 semesters in two very different barns (breeding and show) learning about management. It was even our final project as seniors to devise a business plan for a facility and run the projected expense and income reports. I learned so very much. Before, during, and after my schooling, I have worked at both boarding and private barns. I get paid the same amount whether they call me a “groom” or a “manager” or “their girl”. And with that kind of pay, I still have yet to own my own horse. That being said- I once worked with a woman who mostly kept her own horses but had a few boarders. She hired me alone to work with the 30+ horses on the property. I was there from 8am until midnight most nights just trying to keep that quality of care consistent. Whether you are a boarder or the owner, every horse needs the same care. You run into plenty of problem animals out there- who’s skittish and requires extra time and care to get in and out of turn-out, who breaks down the fences, who bites/kicks the others, who is allergic to the feed so needs different feed, who needs supplements, who needs their water bucket cleaned 3x a day instead of once because they dunk their hay or poop in it, who has medical issues at some point, who is the most used and needs to be prepped and kept show ready, who’s the go-to lesson or trail horse who you have to have on standby. every nuance adds extra time and effort. I lost a lot of weight and gained a lot of muscle and made the same amount. And the owners paid the same amount regardless. I had to ride some horses, lounge some horses, give lessons, lead trail rides, turnout, feed, groom/clip, do maintenance, maybe the supply runs, evaluate before calling the vet, hold for vet and farrier, schedule vet and farrier…. everything. Customers were impressed and happy with me. The owner had nothing nice to say ever. And would even cut my pay for “bad habits/nuances” – or to pad her own pocket. There are great horse people out there and they want to provide quality care. Some know what they are worth and will demand it. Some only want the high quality in their barn and will ask outrageous prices and someone will pay that. Some people would rather be helpful and get paid less, possibly in hopes that good reviews will being in other customers. I learned quickly I was not going to get rich working for other people in this business, but I am currently looking for my first property to own with my husband and bring in some boarders for income and just to have horses to love on. I am looking for that full package facility- acreage, indoor, decent barns, room for at least a round pen outside. It sounds like Buckingham palace stables to me, even if in reality it might need a little work. I enjoyed this article very much. I hope that it makes boarders more appreciative of those who spend time- and I would dare to say ENJOY- caring for their animals. If you have a horse to own/love, you’re lucky enough, If you can afford to have someone else take care of it- you are blessed. Jazzy, I think we need to be friends! My own experiences run almost exactly parallel to yours. Where did you do your training? I did three years of equestrian college in Ontario. I loved every minute of it, but they did not prepare us for the business side of things at all at my school. They should also be teaching us how not to be taken advantage of by owners. I agree, you will never, ever get rich in the horse business by working for someone else…..I have found (many, many years later and many years away from the horse business) that the best way to actually make some money is to work freelance, have your own students, work out of someone else’s facility. (or your own on a small scale, if it’s your hearts content 😉 ) I think Barbara’s article is excellent and I think most boarders have no clue what goes in to the daily care of their horse. I think all boarders should have to do an entire week of being in our shoes. (and the owners shoes!) Only then will they have even an inkling of the work that goes into giving proper love, care and attention to these wonderful creatures we love so well. We did have some lovely boarders as well, who were excellent horse women/men and had a good understanding of the issues, but they were more rare than the inexperienced boarder/horse owner. I wish you all the best in attaining your dreams! I board my horse with very competent horse woman who owns her own small barn, keeps her place and my horse clean and pristine. I pay $650 per month, and I do buy my own hay, gain, supplements. It is worth that to me to have a person who is so consciousness take care of my horse……I’m not an old fool, and I have been in on the other end of that deal. I know how much it cost, and time involved. I would never and I do mean never feed large round baled hay to a horse, guess people have never heard of botulism or seen the results of it…….yep, I’m a hard headed Virginian. I’m old timer too and have never had a bad second cutting round bale ever. If you pay good money it’s well worth it. Not all rounds are bad. Same with square tons here on the east coast. If owning a boarding facility is what you choose to do, that is your choice. Being a small business owner myself, we all have operating expenses no matter what the profession. My customers don’t see the break down of my costs because quite frankly all they care is about the quality service they deserve. I also pay board on 3 horses and it is expensive but all I care about is my horses being well taken care of when I’m not there, good quality feed, good footing, etc. If you need to raise your rates to fairly compensate yourself, then adjust your board accordingly . Owning a horse is a choice so if your boarders don’t understand an increase then maybe the shouldn’t own one. Sorry, speaking from some one also in the business of taking care of others pets. ha! you should hardly apologize. That said, horses can be boarded on a budget, but the horse owner needs to be willing to deal with doing the bulk (if not all) of the care herself. I’ve recently switched from a full-care field board to a self-care field board because my horses were requiring extras that I couldn’t pay for and one of my best friends is the barn manager. Moving them has saved the friendship and somehow given me more time. Even if I have a migraine, I have to get out of bed. Which, is a good thing. Anyway, my point is. Either we pay for someone to give horses the care they need or we have to do it ourselves. Horses are expensive. As it is with all things in life, they are cost us in either time or money. I board at a self care barn..I do all of my horses care we have problems getting normal maintenance taken care of. We boarders even bring and supply toilet paper for the bathroom. So don’t tell me the farm owner doesn’t ma k e enough….I wish she would reinvest to maintain a thing or 2. Location is good for me to n from work. I supply my own wheel barrow and forks n brooms ..feed hay n supplements. ..even boarders have to buy a hose….and hope someone doesn’t take it down to the house. Atleast half the money should be reinvested for maintenance on the property. ..it would be if it was my place..
I’m at a self care where I have bought my own hoses, my own hay, my own feed buckets (actually, there were feed buckets, but I like the kind I use), and my own feed. I even plan I setting myself up with solar power over the winter. However, there are two sand rings with lights. There is a dry lot, and two pastures, and access to miles of trails. Also, there is no barn drama which I’m tired of having. Also, I consider the things I’m buying to be an investment for the future for when (fingers crossed) I get my own place. That said, they did replace the spigot with a frost free spigot right after I moved in, so money is invested back into the property. I also know how much full care would be with a place in my area with the amenities that I have. That said, I knew going into it what I was being provided to me. And I already had some of my own stuff from other places. Every place I have boarded provided something different, but each place only worked out for so long before I outgrew what it offered me and my two horses. The one thing a boarding barn or any horse housing arrangement provides is the first line of defense against the horse being ill. I have boarded and I have kept my horses at home. I have had colic in both circumstances; one euthanized and one with two colic surgeries. I did not see mention of the responsibility and cost on the part of the barn owner for worrying about every horse on their property 24 hours a day. How much should a horse owner be willing to pay for the pleasure of abdicating their responsibility for the health and welfare of their animal? This is missing from the pricing formula in many of the articles about the cost of boarding. I kept my horse at several different boarding stables over the years, I find this article to be really a croc.My 2 horses take 2 bale of hay a month in winter.Which cost me 350 for 5 months. And probably 20 dollars in water.Hundered gallon tank. Electrical power well none for cost.Feed cost is about 40 a month and I do it mostly in the winter months when body condition is hard to maintain.Oh and gas for mowing my property is 5 dollars. I find most stables are quick to call a vet when a horse is sick or injured, when many times there are over the counter remedies available if you are an experienced and bright person you know how to save your money.I have had some good experice with boarding and some bad. Sometimes a vet is nessicery.Vaccines for my horse are afforded by me and are 95.00 per horse once a year and my horse hooves are trimmed every 12 weeks at 45.00 per horse.and dewormer is 7.00 in spring thu fall when worms cycle of hatching is a viable threat. That’s every 3 months. If I don’t add in thing I pay for my horse then I get 265.00 a month for horse board no where near 600.00. A horse needs some trees for shade and a shalot with 3 sides to stay out of the weather and blanketing a horse I only do that if it us extremely cold cause horse have a winter coat and mine seldom even show one sign of shivering.I get tired of these barns/boarders. Charging too much for services and then going on vaccation or showing there horses on my money when half the care of the horse I am paying for.I pay for it’s feed to be shod. It’s dewormer and it’s vaccine and at one barn I paid for it’s feed too. And hauled and paided for my own hay.You can save money if you don’t baby your horse and treat it like it’s a human.I love my horse’s but I don’t baby them.If you do that is up too you. But your wallet will pay for it. 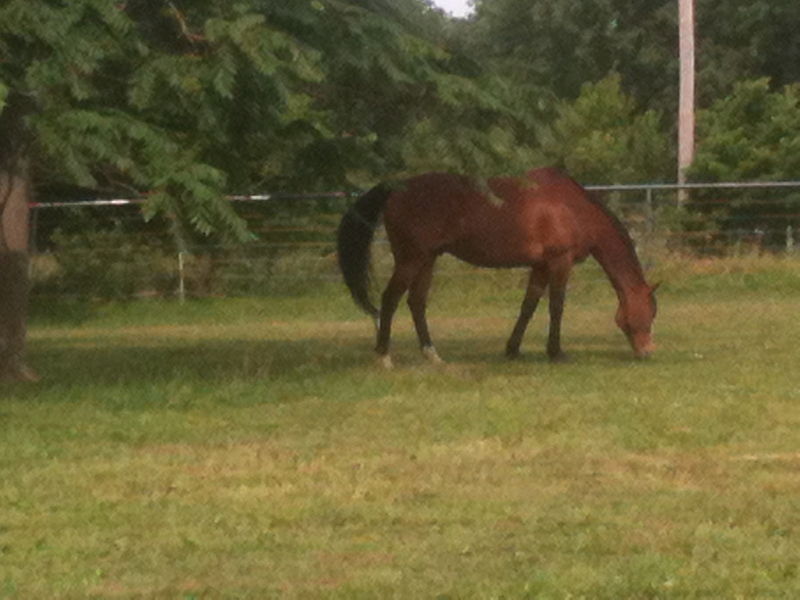 I also had my horse put in a paddock with there hay alone and they alone eat there hay not 8 other horses in the mix. And it was big enough I hardly ever had to muck it out. I don’t like people getting excess money off of me for expenses I pay for not them and for fancy barns there horses are in not me. One horse boarding facility I was at tried to make me pay them to train my 2 1/2 year old paint colt and I am glad I said hell no cause that women can only ride a horse trained by someone else and she would have recked my best horse.I could make a comment against her farrier who injured my horse for 3 months and I couldn’t ride her. And at one barn that put 2 bales of hay out with 7 horse’s in one pasture and 2 horses can eat one bale in 2 weeks with a hay ring around it. The horse’s were tearing each other up just to get hay, cause there wasn’t enough out there for all of them and that is why I got my own property so I alone can take care of my horse. Being a do-it-your-selfer is another way to go with horses. One of the advantages with that is you don’t have to put a value on anyone else’s time, expertise, equipment, or facility. It sounds like it was the right choice for you. There are couple things that I would like to point out about your comment. 1. When you willingly give money to a boarding facility, once it leaves your hands it become theirs and is no longer yours. 2. If your horses only take two bales of hay a month in the winter you either have great pasture or feed round bales or they are not getting enough to eat 3. Self medicating your horses has some advantages but can also be a mistake. Having someone else self medicate for you is not wise in my opinion 4. It sounds like you don’t place any value on your own time as far as factoring it into the cost of caring for your horse. Some people are happier taking care of their own horses. Other people want the luxury of someone else to do it for them. Anyone who does your work for you and takes on your responsibility has the right to make a profit doing so. But I also want to tell you one more thing. If you feel my article is a croc, like you stated, it does not show wisdom on your part to start your comment by slamming what I’ve written. I always make an effort to be respectful to other people and in the history of 9 years of the Riding Instructor I am only aware of one comment I didn’t post because of the way it was written. I welcome differing opinions if they are reasonable well stated. Maybe in the future you would consider taking a deep breath and letting the steam out before you blast away. The above author didn’t include the cost of the property, the cost of the fencing, the barn, maintenance, riding arenas etc., and as you pointed out her time. 2 bales a hay a month? No way, not unless they are round bales. I don’t get where my love for my horse is “babying” it either. I also agree it just seems that she is just against boarding facilities. Thanks for your comment. I agree with you. And it’s okay to be against boarding your horse out, if you can do it yourself, but not everyone chooses that option. As for me, I choose to baby my horse a little bit. Why spend all my time and money on him and not develop a relationship, right? Oh my goodness, I feel bad for you, you sound like a very angry person! As Barbara said either you have supplemental pasture or your horses aren’t getting fed enough if they are an average size horse. I live in California where we have heavy, three strand bales of hay and my horses would be a wrack of bones on 2 bales a month. The average horse (1000 lbs) should eat, on an average 1/3 of a ton per month. My alfalfa right now is running 17 bales to the ton. You do the math. Throw a 17 hand warmblood in the mix, or a high energy thoroughbred and up that to a half ton a month if they are dry lotted. As far as a boarding facility, why should I provide a place to keep other peoples horses and not get compensated for it? It doesn’t matter if it is a self care or full care just the fact that they provide a service is worth something. How much are the boots you’re wearing when you ride? Did you pay just what it cost to have them made? It’s more like a 250% markup. Facility owners don’t make near that, trust me. As far as a barn owner going and showing her horses on the money she made off of you, what business is it of yours if your horse is getting the care you both agreed upon. They are probably very happy for you that you were able to take your horses home. I just hope for your horses sake they are getting the best possible care. The lament of the boarding barn owner 🙂 The reality is that we provide a service in exchange for financial recompense. Should we make a profit? Absolutely. We all have to live. Should we complain about how much it costs to run a facilty? No – we should have a solid business model that takes into account expenses (both hard and soft), as well as profit margin. What we do need to decide is the type of board we would like to offer, based on demographic, demand, niche. Do horse owners need to know how much it costs to keep a horse? Often it would be nice if they did, but the reality is, what they do need to do is pay their board and bills on time. In exchange for that, they should receive the amenities, services, and facilities they pay for. I both board a horse, and run a facility. I offer a quality product to my clients, and emphasize care, service, and peace of mind. I understand my demographic very well, and know my niche. I don’t quibble on prices. Clients have the option of choice, and I understand that I offer one. My clients do go on vacation, take time off for work, have life happen, and expect me to care for their horses. They pay me for this, and this is how I earn my living. Without clients, I would not have a facility or a job. Because they board, I do not consider them to be irresponsible or casual. Most boarders are actively involved in the care of their horses, if not the day to day. If they are, that’s great. If not, that’s fine too. This is what they pay me for! That’s great that you are in a position to give your clients a “love it or leave it” ultimatum. Some of us that run boarding stables are doing so on a very limited budget but still adhering to a high standard of care. We put in sometimes 18 hour days for which we are not compensated for. We take care of sick or injured horses sometimes around the clock again for free. Not to mention the expenses of running a boarding stable that continues to skyrocket. I would love to pass on the expenses to my boarders but in most cases they are struggling to make ends meet too. I look at it as we are all in this together. If I need help taking care of a horse or fixing damage caused by the owners horse I expect that the owners will pitch in to help. This is how I make my living and I do exist on my boarding income. I have a good reputation for running a clean, safe facility with top notch round the clock care for a ridiculously reasonable price. As a staff of one I do the best I can and my boarders know it. They love their horses and will do anything for them, including helping out their overworked under payed care giver. John, I too have been in the equine business in some respect for 30 + years. In my thirty plus years of working at hunter/jumper facilities, it’s fair to say none of them followed the type of business model you shared. I found it extremely smart and more importantly FAIR to client /boarder and stable owner. Thank you for sharing, as I am eager to pass this information along to my peers in the business. Have a great day ! Wow I am glad I scrolled down. thank you for this business model!! I am sharing it with my peers! I really enjoyed this article and think that it truly does highlight important areas that the barn owner or manager has to deal with. It is very expensive to properly care for and manage a farm and you are 100% right that most horse owners have no idea what the individual costs are. I am a life-long boarder myself and have done everything from pasture, to full care, to partial, self, etc. I worked off board when I was in college and I have been fortunate to board at some fantastic barns with great, well maintained facilities and knowledgeable, reliable staff. However, I must say on behalf of all boarders everywhere that the downright bad boarding farms are definitely out there. My biggest reason for choosing self and partial care (even when I could afford full care) was level of care that my horse was given. I’ve boarded at places where my horse and other boarders horses were put in stalls in the AM with lacerations bad enough they needed stitching that the owner or staff hadn’t noticed. I’ve had to argue with barn managers who refuse to feed my horse more food because they thought they knew more than my equine science degree and lifetime of experience. I’ve boarded at places where I’ve had to repeatedly ask them to fix broken fences that I’ve seen them walk past on their way home twice before I had to ask them to fix it because nails were exposed. I’ve boarded at places where horses frequently coliced because they would only give overweight horses half a flake of hay leaving them all day in a stall with nothing passing through their system and refused to buy a grass hay in addition to their alfalfa to offer to these horses. While you definitely are doing a great thing educating owners about the costs involved in their horses care, I just have to say that I know a lot of boarders are difficult because they’ve had bad experiences in the past. I lived in places where horses are a huge business and youd think you could find high quality care but what I found was mismanaged farms with under educated staff. Just because you have the money to buy a big farm, doesn’t mean you have the knowledge to properly run one. For those people doing it the right way, you’re very appreciated and loved and I hope your boarders tell you often how much they appreciate you – I know when I finally found a place that ticked all my ridiculously picky boxes I made sure to never let a week go by without thanking them for their tireless efforts for my equine family members! Top quality nutritionally tested Hay @ $24.00/100# bale @ 20#/day=$144.00! Excellent article. I manage a very busy dressage training barn. The key is communication and realistic expectations on both ends. Very few boarders realize that every time they ask for an “extra” it is an additional labor cost to the barn owner. Sure, as a boarder when you ask for turn out boots to be put on your horse, you just think “oh, I want my horse’s legs protected during turn out. It doesn’t take but a minute to put them on.” What the boarder fails to realize is if 22 other clients want the same, then “just a minute” into an hour just booting and unbooting horses! And the horse hasn’t even left his stall yet! I’ve often said if barns truly charged exactly what it costs to keep horses, then no one could afford to board horses! This is the best article I’ve ever read on this subject. Thank you for doing such a great job of explaining what we barn owners do! It sounds like you have worked your plan very well with longevity and serious commitment. Thank you for your very good comment. I am laughing at $500 per month because it’s just unheard of around Long Island! I have run my own facility and been on full service. Have to say many barns I boarded at had many many issues which made me feel I was wasting my money! Owners just don’t want to be lied too and want there horses safe! Yup! I’m originally from LI, and your comments are spot on! I charge $460 for full board and I sometimes get the “WHAT?” eyes and I crack up! But on The Island I wonder how the heck can you afford to even run a facility. The cost of everything is sky high. I wanted to go back “home” but knew I’d never be able to take my equines with me as I could never ever afford to costs to board let alone show. And like you said the drive to show would be the scariest part!!! That drive is probably the main reason I never went home to live! I’m just not that brave! I currently live on Long Island and prices are through the roof. Ten years ago i had two horses at a very mediocre barn and my bill was 1750 per month. That is what prompted me to get my own place. Im a super poor college student with no financial backing because my parents passed away and without the help of generous barn owners I’d never have been able to keep my horse. I have no idea how some barn owners do it. I have pretty much worked off part of my board for the entire time I’ve had my horse, thats 10 years. I know its expensive to keep one let alone run a barn, I just cannot understand how they can afford to let their boarders work off the cost of their board. They let me do it. There must be some kind of cost benefit that makes it work if they plan on hiring out help anyway, otherwise I just can’t see it. Anyone know how it works because I want to know? I’ve made myself a reliable stable hand and get to see my horse at least 5 days a week because of it, I don’t want to be taking advantage of anyone but I’m not the only one they do it for so I’m really curious. I utilize boarders who are reliable and decrease board based on the hours that they work. It usually is less than a full time employee. They are vested in their job because in many instances they would not be able to afford a horse unless they had a reduced board situation. It usually works to the advantage for both of us. No benefits etc that a regular employee would want. Working together with boarders like you describe can be very beneficial for both the business owner and the boarder when it’s done well. I’m glad it works for you. Thanks for your comment. I have heard this stuff for years and I wonder why some people dont think people in the horse business should make a profit. Here in NY I have a six horse barn four of which i fill with my horses. I costed it out and came up where the cost of feeding them the best grain and hay I can find, shavings , etc at $550 per month cost to me. Luckily I had a day job so I’m covered for health care, have a 401k, plus additional retirement benefits. I know several professional horse people who cannot afford any of these things. Its a business and as such should not have to live without some benefit. Horse professionals do not always get the respect they deserve. I boarded at a barn self-care barn that required owners to bring in their own hay. The barn doors were wide enough to drive in a pickup, and the hay storage was on the same level as the stalls, so equipment was not needed to put hay into a loft. Even when I did board at a farm with a loft, I was able to put the hay up there from the back of my pickup on the high side of the barn. A very true and well written response. I especially appreciate this quote, “The bottom line is that the boarding barn is in business to make money, not to subsidize someone else’s horse activities.” I learned that the hard way and am still working on ways to run my barn more as a BUSINESS than a hobby farm. It is my sole income and it has taught me more in 2 years than my previous management (not business owner, but strictly managing) years altogether. I also agree that it is an incredibly stressful job but pricing yourself in an area that brings you like-minded clients helps make it a rewarding job. I love taking care of horses and love seeing them bloom, content. I enjoy providing a special space for like-minded horse women to come have fun and feel safe. I spent the first year and a half of my business utterly struggling until I realized that I needed to raise prices and my expectations for clients/business. Since then it has only improved and I hope to continue that trend. I will never give myself the short end of the stick again. Nice comment. It sounds like you’ve found your niche’ the boarding world. You’re advice “to raise prices and my expectations for clients/business” is timely, not only for barn owners but also for instructors. (A caveat here- I’m not advising that all stables and instructors should raise their prices- just that it is worth evaluating your own situation and taking action if it seems like a wise choice) Raising prices and expectations of clients can be a bit frightening at first but it sounds like it has been a benefit for you. Thanks for sharing your thoughts. Some very true issues everywhere. But there are those few boarders who truly understand. I boarded for 6 years. Had 5 horses and everything that can happen, does, lol. I’m not perfect either. More like too picky. Everywhere we went we were treated like we were stupid. Like we didn’t understand how much it took to pay and run it or what to do. And care was another story. Fortunately we were. Guess what, I have a brain. I got the best Vet around, the best farrier and friends who have been in this industry for around 60 years who still successfully show and sell horses as well as educated myself before I purchased my first horse to make sure I knew what I was getting into. I always did self care. I don’t want anyone else taking care of them. I purchased them for a reason and they are MY responsibility. I take that very very seriously. I carried insurance on my horses and the boarding facilities in case if any accidents, supplied tack, barn supplies, water buckets, heaters, anything the facility needed, offered and paid extra for using heated water buckets, took full care of my own while paying partial care, supplied all my horses feed, grain, hay, bedding, etc… We paid for everything they needed, did all the transportation and heavy lifting ourselves and even for some boarders who couldn’t. We weren’t rich. As a matter of fact i worked six days a week running an office by myself and then off to the barn every evening (after my husband took care of them in the morning) sundays were oandand time to enjoy my horses and that was spent cleaning. Heck, we even paid months in advance on my stall board to help barn owners cover unexpected bills. Everywhere we have been has been us taking care of just about everyone else’s horses along with my own. I did this because its who we are and I love horses. Never asked for anything in return. We have paid for new electric fencing with the charger too and put it up when it wasn’t our horses doing the damage, in fact, the owner’s horses did it. But had no intentions of fixing it. Did repairs to the facility and fencing as well as stalls and kept the facilities clean while others walked away. Even purchased a round pen and help with horse training. Reseeded and fertilized pastures and checked fencing every day. When i realized i was spending more time and money doing this, never even got a thank you and kept getting taken advantage of. And my biggest issue was people who think, oh well, crap happens when the horses get injured. I understand things happen, heck i ought to. I did own 5 of all different ages. An injury cost me 4 years of my mares life being unsound, exrays, ultrasounds, $500/month for special meds/care and now permanent damage so our future goals were destroyed. But when it could and should be avoided, don’t downplay it. It may not be your dime, but they are not a cheap hobby, pet or plain old farm animal. And yes I understand who and what they are. So after everything, enough was enough. It made having them horrible. I have seen the petty arguments, good owners treated like crap, good and bad trainers… Its hard. I understand. And barn owners don’t have time for a lot of things, let alone complaints all the time and it is expensive. Not everyone can be satisfied. Everyones idea of how to care are different and horses care can be different. Noone is perfect. I have seen neglectful owners, barn owners and managers, but also great ones. We were actually told we spoil them because of the level of care and another told us we needed to learn “not to care”! Since when did keeping them healthy and in shape be a bad thing! Anyways we finally got the chance 3 years ago to purchase our own place. It has been great to enjoy my horses again. No more boarding. We are in the process of building a larger horse barn in the spring and will be building an indoor arena so i can finally enjoy my horses like it should have been to begin with. I’m taking riding lessons myself to further my own education and riding abilities with an open mind. So when I get asked if I will be doing boarding at my place…. NO! Nothing personal, but I too have goals and this being a job/business was never one of them. I have a job. And its done with the same hard work and determination. This was to be the relief and to keep me physically moving, dealing with my own injuries. Now I am going to retire early, train and give lessons at my leasure. So keep making people aware, please! Both sides could have improvements! I am only commenting because i have seen many columns about boarders not understanding, some of us do! And thank you for all you do! Amen!! I grew up on a farm, the daughter of a large animal vet, and until recently, had always kept my horses at home. I am one of those people who LOVE to care for horses, mucking stalls, baling and stacking hay, turning in, turning out. hauling water, fixing fences, all aspects of the horse experience are enjoyable to me. . . EXCEPT BOARDING. I’ve been to a number of barns, and none of them, at ANY price, reliably offered the most basic horse needs: 8-12 hrs of daily turnout, good grass hay, free from weeds, mold and toxic plants, shelter from the elements, and clean water. None. Why SO many different opinions on such basic care? I WISH I could keep my horse at home again!! And, no, I wouldn’t board any outside horses either. In the horse world there really isn’t anything as satisfying as being able to care for your own, I agree. Perhaps one of the problems with barns being able to offer the basic needs you outline (which are good and healthy) is all of the other needs that go along with boarders, different types of horses and their activities, as well as the limitations of facilities. I suspect by your comment that you wouldn’t board any outside horses, you have an inkling about the difficulty of meeting the needs of horses that belong to other people. I wish you luck in returning to caring for your own horses very soon. And I appreciate your comment. Thanks. In response to hay- BO often buy hay from supplier/ growers. You can buy hay with zero weeds. It has been heavily sprayed and managed with chemicals. Not ideal. I prefer an honest local farmer. Far more concerned with hay that it baled at proper moisture content. Jmo. It is not the BO fault there are weeds in hay. The vast majority of baled grass hay here in NY has some weeds. This should be very enlightening for many horse owners and boarders. Owning a horse is an expensive but wonderful experience. A great place to board at a reasonable price that offers all the above amenities mentioned above and responsible loving care is hard to find. Lake forest equestrian center has this and more. Sadly not every person who runs a barn should. The ability to successfully run the barn is also an art. You can’t just have horse sense. If you want to send yourself to an early grave, board horses. Most stressful job in the world! I don’t think boarders really understand what it takes to make sure their horses are taken care of properly. as a barn owner I think it is well written. Unfortunately the #s are way off based on where we are- taxes alone on this 100 acre parcel are 35K with an ag exemption. That being said, thank you for writing this. We have had a huge range of clients in our years of boarding. From the absent -with agents writing the checks (LOVE) to the bizarre hovering nutcases. We have seen it all. The major take home for boarders is they absolutely need to lose the expectation that their horse will be treated like it is the only one on the property. They are one of many. If you want a low groom to horse ratio you will pay well over 3K for that service in our region. Do not expect that level of care for under 1K. It is not feasible. HO expectations are so far off in left field it isn’t even funny. Yes, there are exceptions. I have wonderful clients but they are outnumbered by those that make BO life miserable. It is a high stress heavy work load that includes manual exhaustive labor that most HO will never do in their lifetime. Their idea of hard work is mowing the lawn on Sunday afternoon. Talk to me about hard work after unloading semi truck loads of 90lb bales of hay. or spending 6 hours in the sub zero bitter cold struggling with the vet to get an old down horse to her feet only to lose the battle and say goodbye with the tears freezing to your cheeks. The horse life is brutal and the barn owner’s job thankless. I wish more people could see and appreciate just how hard it is and how discouraging and enraging it is to be endlessly picked at by clients that don’t see the big picture. I have 40 mouths to feed, I do not have time to find your $15 cotton lead shank. It is around here somewhere. That being met with outrage….we could all go on. We BO live this life. I was a boarder once. I hated it. I hated not having control. Fast forward 20 years and I can see plain as day those BOs were doing the best they could. Every HO should spend some time in our shoes and then think about commenting when their lead shank is misplaced. Great article. It’s definitely puts things in perspective. I know there are lots of complainers and it takes all kinds but I think a lot of boarders simply get in over their head. They see $300 a month and think, “oh, I can afford that!” and completely disregard the fact that shoes, vet visits, lessons, tack all start to add to that monthly tab. I’ve been fortunate to board at some great places – nothing fancy of course, but I also enjoy cleaning a stall or getting feed buckets ready when it’s needed. I know how much work it is to take care of my two geldings and they’re really good citizens. If boarders would simply pitch in when they can, it can be a great experience for everyone. I don’t pay top dollar but my horses are getting great care and that’s all that really matters to me. If all you focus on is the price, you’ll get what you pay for the fancy barns and the pasture farms. It is what you make of it. Picking a stall goes along way in Karma department, if you know what I mean. I’ve heard, as a rule of thumb, to take the cost of board and double it to know how much a basic healthy horse will cost. I’m also in an expensive area and turnouts are small. No way to get around that when land can cost $100K per acre or more! The barn I am at is a good one, not top of the line, and costs $900/month. I’m here mostly because it’s one of the few that has facilities I need (indoor, bathroom, tack room), good care (including hay; this is one of the few in the area that actually feeds enough hay! ), AND a paddock with a shed so my horse can be outside most of the time. Depending on how many turn-outs are available, she is in from 0 to 8 hours per day. I find little and sometimes not so little things that bother me, and have to stop myself before I complain, because they are mostly issues I just have to live with, or things that are not immediately dangerous to my horse. I’d pay more if the weekend barn help was better. I’m gritting my teeth and coping with someone who knows the basic routine very well, but has a hard time doing anything new or different, and tends to leave early. Luckily there are more people around on the weekend, and we look out for problems. But I know how hard it is to find good reliable help for weekends and evenings. I do not envy barn owners or barn managers at all! I try very hard to be as drama free as possible. Having a horse with good solid manners helps. Thanks for your comment. I think it is wise to over look the little things that are not dangerous to the horse. It’s probably a good way to keep relationships steady. I was a little distressed when I first started working with people who watched the clock and would leave even if they hadn’t finished their job. I find that more with the kids that come from college programs than other programs.But that is just my experience. Work with horses is a 24/7 job and I think it is safe to say that usually only the business owner/horse person is willing to go the extra mile.And there are so many extra miles in the horse business! Very informative article. One expense that is not mentioned is cost of balancing the herd dynamic. I have to keep companion horses that will tolarate my boarders’ dominate late gelded gelding, or very submissive mare who always gets picked on. I write off these horses as part of my business expenses. I boarded at a facility that rarely picks paddocks, slowed down on hay because the horses were going through it too fast and wasting too much, won’t hold a boarder’s horse for vet or farrier, has no running water at half the paddocks, no tank heaters, no shelter for lesson horses, no rules about loose dogs, hasn’t hauled off manure in 5 months, etc etc etc. My horses are now at a superb facility where barn management lays eyes and hands on my horses daily, holds them for whatwver is needed, can give lessons, has beautifully maintained paddocks, etc. it isn’t as fancy to look at as the old place but it is safe for my horses and boarders, is run meticulously and with genuine concern for the horses vs just making a buck. Boarding facilities in my experience tend to fall short on substance, instead being all about show. I will happily pay for quality care. Years ago I had a series of bad experiences boarding horses. I would be in a nice situation and there would be a new barn manager or twice the owners divorced and gave up the barn. So thirty years ago I bought my own small farm and never regreted it. Yes it’s confining and a lot of work but no one ever takes care of your horses your way. In addition the money I saved while not paying for someone elses facility I could use for my mortgage. I have taken on a couple of.boarders over the years but found them more trouble than they were worth to me. Plus I am in a position to pension my guys myself and again know exactly how they are treated. Great article. There is something else that people don’t realize they are paying for at a boarding barn. The barn manager and employees experience is worth something too. It take a lot of knowledge and contacts to run a barn well. Those things deserve to be reimbursed as well! Its one thing to be in the business of boarding horses, its quite another to be used for money by a barn owner who can’t afford their barn or their own horses without taking in boarders yet doesn’t give a fig about the other person or their horse. They only go through the motions so they can get the money. And there are a lot of these types of boarding barns….if the place where you keep your horse doesn’t care, you should go elsewhere because when push comes to shove you and your horse will suffer for what is lacking on the part of the barn and its owners. Wonderful article. I am very blessed to be at my current barn. The owner allows me to be on partial board for my 3 horses. I do supply my own grain, hay, bedding, and have all of my own equipment. I am there 6 days a week and I clean my horses stalls. If I am going to be out of town for several days, I always give her extra $$$ for tending to them while I am gone. Most barns in my area do not offer partial board. The barn I am at currently is a full care barn, but since the owner and I have known each other for a while, we made a special arrangement for me. I also work for her 3 days a week to help her with costs and her everyday labor. Providing my own supplies and doing most of the work myself has really showed me what goes into operating a boarding facility. I have the upmost respect for persons who do this for their livelihood. it is not an easy life. My goal is to one day have a property of my own where my horses and I can live together. Barbara Ellin fox!! I love you! Wow! The perfect breakdown of how it really rolls!! A lot of these negative comments reflect the challenge for both BO and HO of offering a service that is expensive. Through it all, Barbara has been polite and supportive. A breath of fresh air in today’s world. Thank you. Shared this one. It is nice to see someone break it down in writing so people can see we dont just go feed and give treats we should let everyone read this article. One thing not mentioned was when there is a death. I had a boarder that had a horse colic my son and I walked this horse for 2 days and had her call the vet out. We did everything we could for 2 days and never saw her once. The horse passed on the second evening and I wept. Then she pulls up and wept the left and I never saw her again. She left me with the vet and the chore of having her horse buried. It was an emotional and financial strain. She never paid a penny back. Just got to hear how I should have done more from her family. Great article! I shared it. Boarders need to know all that goes into the care of their horse instead and temper their sense of entitlement. I have never owned, nor boarded horses, though I have always been around them throughout my life pleasure riding, both bare back and under saddle. One of the big services that barn operators provide to owners, is the dispensing of vitamins and drugs as prescribed by an equine vet. These typically are very specific per horse, and if dispensed in error in dosage or to the wrong horse, can have catastrophic results. This is a huge responsibility, that normally cannot be relegated to the typical stable hand. And thus, typically is an added expense or duty for the senior most employees or owners..
Good article, has valid points. I do not like the fact that horse ownership should only be available to the wealthy. I had to sell my horse because boarding costs here in Canada are ridiculous. The barn I was at had a base fee of $375. That is fine but you got nickel and dimed into the poorhouse! Fees for holding horses, fees for blanketing them, fees for every little thing plus I had to buy my own grain! Plus extra if I wanted my stall cleaned! Vet and farrier was always scheduled for day time when people HAD to be at work. So you were forced to pay the extra. You had to have insurance too. Plus I had to endure the barn owner criticizing a rider who was interested in riding my horse, insulting her and telling me the young lady had to have a coach with her at all times! This was a rider with 10 years experience! I was then told that any half leasee had to be approved by her first which is garbage. I’m an adult and it’s my horse. I don’t agree that these barns make no money. These people have a luxurious house, take expensive holidays abroad, and afford over $600 per month in lessons for their snooty daughter. I don’t see this non profit statement at work here. I don’t think that you implied or suggested that horse ownership is exclusively for the wealthy, just getting someone else to do the work is! Lots of us non-wealthy folk keep our horses at home where we can go to our paying jobs and still care for our horses on our own schedules. Some of us are fortunate enough to have farriers that will come evenings and weekends because he also has a “day job” and vets that will schedule Saturday appointments during the spring months. I have six horses and a donkey right now and I sure could not afford to pay someone else to give them the kind of care that I do. You can have horses on a budget but it means you make sacrifices in other areas. michone – While I do not believe you are mistaken to believe that you have a right to choose who rides your horse, from a different perspective it is the barn owners right to choose who rides at the facility as it is their livelihood at risk and they as the recognized “professional” in this situation bear a significant risk should things go awry and an injury occur. It certainly colors the situation from my viewpoint when an owner chooses to ride their horse vs. allowing a third party to ride. I also require lessee situations to be approved and I am very particular. As for your barn owner’s finances? I think it is necessary to view the barn owner’s personal finances as a moot point. The barn owner’s finances have nothing to do with the actual profitability of the boarding operation that is being run. Case in point – I work a separate job off the farm and my finances afford me a solid foundation. However – my financial situation has nothing to do with what it costs me to run my barn. That would be like saying I make enough money outside of the farm that I should be able to afford to lower my board price to lose money to provide you a service. So well said! I don’t understand why clients chose to judge their BO. Yes the property might be spectacular, doesn’t mean I’m not eating ramen noodles so I can keep my bills paid and doors open. I just don’t understand it. Why must people always assume they are getting taken advantage of??? It truly is a labor of love because there is little to no appreciation of a job done right, only every little thing that is wrong. In the finest barns where clients pay more that 3500 a month horses get hurt, even die 🙁 they are horses. They are accident prone. We can do our very best to assure a safe secure environment and the worst can happen. I wish it wasn’t that way. I’d love it if they never got sick or injured. You thought $375/mo was going to cover horsecare? Your reaction to reality is exactly why I think barn owners are better off just charging the $500-$600 it costs to care for a horse rather than offering a reduced price with “extra” additional fees. I suspect they do so because less well-off boarders often appreciate the reduced rate and pay through helping out–so everyone wins. regarding the apparent affluence of the barn owners–that really isn’t relevant to the fees they charge. Should they subsidize your horse habit by giving up their own vacations? Believe me, they are NOT making money on your $375 fee–they need to charge those “extra” fees just to break even. I have 7 Boarders. All are easy to deal wwith, pay on time and no drama. I run a pretty tight ship. I’ve had a few wierdos but I find that they “weed themselves out.” But I definitely would not want to run a big boarding barn. I’ve seen 70 horse barns and that is way more than I could handle! Actually I should rephrase that….70 horse OWNER barns haha! Great article! While I have not owned a boarding facility, I have worked for one. There is a lot of work and so many investments involved that many boarders seem oblivious to. On the flip side, I have been a boarder for 8+ years at various barns. I’ve dealt with fabulous ones that had to shut down because they couldn’t afford it anymore. Amazing facilities and care with low prices. I’ve left more than one because of water issues. One refused to provide clean water and another couldn’t be bothered to supply any water at all. I’ve left a barn where I paid for full care board, but my horse was not being fed (the grain that I supplied), was not given water and the stall was not cleaned unless I showed up and did it myself. I’m currently at an amazing place. Sure, there’s things I could gripe about, but he gets his grain, has fresh water 24/7 and he’s happy. If I have to fix a fence board from time to time, that’s a small inconvenience in the grand scheme, especially considering the low cost of boarding there. $250/month field board. Very nice outdoor ring with jumps, cones, barrels, etc., trails, automatic waterers in each field, blanketing (though I do it myself whenever possible), wash area with warm water, heated/air conditioned lounge. I definitely get more than I’m paying for, so I try to show my appreciation by helping with barn chores from time to time. I’d like to have my horse at home someday. My husband keeps saying that when that day comes, we’ll have to take in a boarder or two to help cover some expenses. I just laugh. Silly husband, there’s no profit in boarding horses! All the time I hear about how hard the barn owners have it. I’m on the other side. I’ve boarded at several barns in the 5 or so years I’ve owned horses. I have found my horses without grain, without water, dirty stalls, no turn out, moldy hay. But you don’t dare say anything or you get kicked out. So, I purchase my own grain when they’re out, haul water myself, drive before work and after to make sure they are turned out and stalls cleaned. yes, you can assume I’m a “bad boarder” but maybe, just maybe, it would be nice to get what I’m paying for. There’s no doubt that there are a lot of bad boarding barns in the horse world and it makes me sick to see horses poorly cared for; but there are also plenty of good boarding opportunities. When you find yourself in a bad one that can’t/won’t provide the most important basic necessities such as clean water, fresh hay etc. the it’s time to load up your horse and move on. Why stay at a place that endangers your horse? My post does not assume anyone is a bad boarder because they are unhappy that the basic necessities aren’t provided. It addresses unrealistic expectations in the boarding business and the true costs of running a boarding facility that are not reflected in the price most of the time. The truth here is two fold. Barn owners should be brave enough to count their costs, charge for them, and follow through; and horse owners should count the cost of horse ownership and understand clearly what they are paying for. There is some truth to you get what you pay for but if you’re not getting what you pay for you owe it to your horse to find another place for him to live. The true responsibility in horse ownership is on the owner of the horse. And think of this- by staying at a barn that you believe is ripping you and your horse off, you’re helping them stay in business. LOVED this article and shared it with my boarders. I HAD to raise my board $30 this year and had several complaints. I asked one of the complainers – What would you charge if you had a barn in your back yard and a friend of yours wanted to keep her horse there and have you take care of it, and then listed much of what you listed in this article. She never answered me. I lived in northern Illinois where winters can get pretty nasty. Our facility is old, but even if it wasn’t, frozen pipes can happen any where. Boarders don’t realize that they can just pick up and go on vacation whenever they want and not worry about the care their horse is receiving, but any time my husband and I do get away for a few days we try to time it when we think there is the least amount of chance of something major happening at the farm that our grooms wouldn’t be able to fix. So, when every one’s taking winter vacations where they can get some sun and warmth, we stay here because we don’t want to take the chance of horses not having water available for any length of time. Thanks for sharing this blog post and for commenting. Frozen pipes are the pits and are a real worry. And those repairs are hard. Added to the winter expense too are heat tapes, bucket heaters and tank heaters – those really kick up electric bills in the MidWest. Very pertinent to your post is a thread with currently 273 responses on Chronicle of the Horse. The thread wanders on and off the exact topic of midwest boarding prices, but it echoes many of the points raised here. The consensus seems to be that boarding prices are artificially depressed in many instances because farm owners have supplemental income or have owned their property so long that they are not supporting the true costs of running a stable, including mortgages. I’ve been at it a relatively short time, but am actively looking for an exit. I love most of the aspects of boarding and have a great group of boarders, but the financial profile of the business simply doesn’t make sense. Without offering lessons, training, and sales, I cannot charge enough in my neighborhood to supplement my ‘real job’ income while maintaining the facility in a safe, attractive, and functional manner. Sadly, it’s a dead-end business for me, in my location, and with my resources. It’s been a great adventure, but the business model is unsustainable. As I get older and look to my future security… run a boarding barn does not contribute to my future in such a way as to offset the risks and costs. I put in 30k worth of fences to my boarding stable where I was charging150.00 per month because I basically liked horses. The only comment I got was that the bulbs in the barn were too dim (the fancy eco friendly ones). I threw all of the boarders out. I sure miss the horses. PS I hate those eco friendly bulbs…for awhile I thought it was my eyes, haha! and now we even have to have one in our yard light! I am half way through my BPS in Management with a specialization in Business Management and Equine Studies at Cazenovia College. I know long title, one of the courses I am in right now is all about building a bank ready business model and plan. We are covering all the topics you presented here. If you ever find yourself near central NY come to Caz. I’m sure my professor would love to have you come in and present to the class. the expression I like to use, “everything in life is really very simple, until you involve people”. The actual horse & work efforts have always been the more relaxing & straightforward part of working. They don’t care what you look like, etc… Straightforward. People, in all lines of work, are often what really wears you down. Moving towards getting out of the boarding business. Just plain wearing out for not so truly great a return. Outgrown staff, and family less interested in slavery. Certainly not prepared to let folks do their own “rough board” kind of lodging. Delivering what we think is a quality experience is exhausting for a reward that you shouldn’t have to justify. See what it costs to board a dog? I have been boarding a few horses over the last few years, and giving people a good deal on board, (200.00 a month) included hay, grain the owner supplied, blanketing, manure removal, deworming, vaccinations, automatic waterers, 2 by 8 board fencing on 3/4 of the boarding area, 670 acres for riding, round pen, shelters, heated tack sheds, and someone on the property 24/7 to over look the animals. I tried to explain that the board would be increased this year, as were in a serious drought, and hay is going for 200.00 a round bale 1200 pounds, and two of my boarder said my place is not worth an increase, when all they are are extras here and I just have to throw hay over the fence to the horses and they feel the 200.00 a month is good money in my pocket. They, in a not so polite way, said they were moving. I could not believe what I was hearing. So I finally told the one that I am done with boarding other peoples horses, and I quit. She now speaks badly of me, and reading this blog, its exactly what I was trying to say to them. Oh, and there horses don’t leave much manure on the ground, so the one felt that I was a totally unfair when I told her how much waste a horse does a day that I need to clean up. Boarding horses is a not a very rewarding job financially, but you sure get a lot of appreciation from the horses. Amazing you were able to charge so little and stay in business. People really have no clue how much work caring for horses are. so true. You forget that 5 years have gone by and cost have gone up and you don’t do a price increase. Straight off the bottom line. Pretty soon no profit. ” well healed clients” “well-heeled,” perhaps. Thanks for the article. Now I know not to bother any boarding facility with my pesky unrealistic self. I’ll just wait until I have my property and do it all myself. I have no profit motive. Zero drama. The author makes many embittered, erroneous assumptions about those who board their horses. Without boarders, she would not have her mean, little business. And this is the type of comment that comes from a boarder that wants everything under the sun for the least amount of money! Having had boarders for years I found that these comments by the author are right on track. Yes, you have nice, considerate boarders, but often you have demanding, inconsiderate, and sometimes rude clients and they are always the ones complaining. Typically theirs are the horses that cause the most trouble, costing the barn owner more for their care! Don’t forget taxes. We owned a boarding facility in CO. The county changed our property tax status to business, for the entire acreage despite the fact that we had also been and still were breeders of both horses and sheep (long before we started boarding horses). The taxes forced us out of the business. Oh Boy – Taxes. There’s a topic that could get those of us in the horse business in a conversation. Sometimes it seems like taxes and laws are created to make it almost impossible for small businesses to exist. I’m sorry this happened to you. Thanks for sharing your experience. Where we live we also pay for water, over and above our taxes. I have a small breeding farm and boarding stable and this past year saw an increase of $50.00 per month for domestic water (horses drink this water) and my irrigation per year is just over 1400.00 in order to provide grazing for the horses that live here. My irrigation will double next year! All this for $250.00 per month! Don’t forget the cost of workers’ compensation insurance either. I have one employee. My workers’ comp premium just went up 500% to $1,525 a month. I did have a part-time employee, but I had to lay her off so I could keep up with the workers’ comp premiums. In California, workers’ comp is mandatory and there is a single provider for stables. You started your article, The Good, The Bad and The Dramatic. $300. mo. No separating from the herd. What a great article!! I got this from N. Follis in California. I have just closed my 10 horse barn to public boarding. I was losing almost a $1000 a month. They complained about my prices last time I raised them so, this time I just closed the barn to boarders. I only keep my horses there now. I was charging $550 and needed to charge at least $700 to break even! Bravo!!! I must say, I have never, nor will I probably ever, comment on any online blog post. But this article struck a cord, the author is 100% right. We are a 26 stall boarding facility, 118 acre barn, family run, no employees, no indoor, primarily recreational trail riders, that cannot understand the real life commitment made by barn owners (such as our family) or the real life PRICE of their horse. Nevermind, the occasional badly behaved horse we must deal with and the owner who refuses to believe it. Your last paragraph just really needs to be driven home. We all love our horses- but to appreciate the people who are working hard to sustain them is just overlooked. My mother has been in the business for 45 years, and she says to me “there is no joy in it for me anymore…these people have really made my heart tired” and that statement has devastated me ever since. We have been struggling with needing a board increase for over a year- with feed prices increasing substantially every year, and peoples unrealistic demands. Our last board increase was years ago and just a $15 dollar difference (0.5 cents a day!) And the uproar was ridiculous. We had one lady that even tipped her farrier and extra $200 at christmas time, and simply gave just a christmas card to her barn owner. What a shame. Thank you for writing this article, even if it just brought a smile to my mother’s face. Unfortunately, Boarding Barns are just one if many jobs/services that are underpaid. Don’t even get me started on all the unpaid, overlooked, undervalued, overtime work a teacher does every day ALL year long, NOT only just when school is in session! As one of these “lowly” teachers, my daughter & I thank God for some of the wonderful folks who run these underpaid Boarding Barns so people like us can afford to experience & enjoy the wonder of horses. As someone who has lived on both sides of the fence I can attest to the “hidden” costs associated with horse ownership. Fulilling client expectations while staying within budjet isn’t possible unless board prices increase to reflect the actuall expenses incurred while keeping boarders happy, however, increasing costs will then serve to make boarders unhappy…it’s hard to win in this game! I pay $1000.00 a month. When I board my horses. I actually own a fantastic facility with 30 acres and an indoor arena 1/2acre. In some situations it is more productive for my horse to be at the trainers facility and less costly due to his having a full staff. I ran a boarding barn for 10 years. I absolutely loved the horses and am still friends with 50% of the people that boarded with me. The other 50%, I hope they found everything they wanted at the cheap price they wanted to pay. There is no money to be made in boarding horses, it is a labor of love. I really appreciated your no nonsense approach to what goes into running a boarding barn. Years ago I had a 10 stall operation and it was a 7 day a week job. Fortunately for me, there were no drama queens or kings for that matter. That can make even harder to operate. I hope this who read this article take away a keener appreciation of what goes into running a boarding barn. Oh, not an 8 hour day as well. There at dawn and not leaving before dusk. Mike B. Absolutely spot on! A very well rounded article with a discernible amount of consideration given to the subject at hand. Boarding barns are so often vilified for some reason or another (not to say that all barns are necessarily ‘good’ or honest) whether it be a perceived lack of care, lack of facilities, or high cost. Often time though, said barns are just trying to do the best they can with what they are able to charge. Not only that but they must put on a smile and good attitude while trying to placate the odd boarder who has absolutely zero idea of what things cost and feels that they are being cheated or treated unfairly. Great article!! As an instructor with my own (leased) facility I first thought having a couple of boarders would help off-set costs, after a few months I realized it was costing me more! I’ve made some revisions and now only horses in training are “boarders” and then its the owners responsibility to buy shavings and bag their grain. (I’ll clean, feed, and do the turn outs) I still only break even after I pay my rent, insurance, utilities, feed and my workers….. Thank you for this post. I am beginning a horse business after retiring from a career and I hesitate to move into a boarding business. Your idea of only boarding horses for training or to teach the owners is very appealing to me. Where did these boarding figures come from-the remote reaches of China? I am privileged to keep my horses at a wonderful family run facility where attention to details like proper nutrition, daily pasture turn out with a safe herd , constant supervision, attention to repair and maintenance of the faculty and state of the art riding facilities are all part of the package. I have had horses all my life and people often ask why I don’t live somewhere where I can keep my horses at home. My answer is that I could not provide the quality and consistency of care that my boarding facility provides let alone do it for the boarding fees I pay. I am grateful that there are people willing to provide quality services such as this to allow us to have horses in our busy lives. Thanks Charlie and Gay!! This is an excellent article for both boarders and stable owners. I have been a stable owner in the past and am considering doing it again but have been racking my brain on how much to charge for board because I know how high the expenses are and how hard the work is. Thank you putting this into words! Wonderful article. Tried to send it to my email, but the link wouldn’t work! Thank you for this great article. Your right on! I have been on both ends of the experience as a boarder for about 15 years and a boarding facility for the same amount of time. I truly don’t believe boarders ever realize the financial end as well as how labor intensive this service can really be. I notice the assumption is the poster has no clue. I appreciate your article; hiwvere, there are boarders who appreciate the services provided and are not trying to take vacations and make sure their horses are cared for so they don’t have to do it. That is really a very general statement that can be seen as offensive. Some of us board to have comradely of other riders, a good environment for our child riders and a healthy place to learn the commitments of horse care. My children have worked cleaning stalls, feeding and doing other barn chores since they were old enough to hold a pitchfork. We are at the barn almost 7 days a week for 5 hours each time. I support my barn in so many ways. I think your generalist statements can be interpreted as offensive. I am sure many boards fall into these broad categorization a but there are exceptions to every “rule”. What you say is so very true. The many things that make up the costs are so easily forgotten. Of course areas of the country are different in prices, but not too much so.